A busy week at work last week led to me stockpiling several literary articles to read when I had time. With such a wealth of literary miscellania saved up, I figured I'd spend a post resurrecting a past monthly New Dork Review feature: The Compendium of Literary Links. Also, since this is the 200th New Dork Review post (that means it's my 100-week anniversary), check out my top 5 five favorite discussion-inducing posts below. After all, the discussions and comments are still the reason this blog is fun. Cheers! 1. Interview with Paul Murray — I knew nothing about this fella before reading Skippy Dies, but it's clear from reading this interview that a lot of his personality came out in that brilliant novel. 2. Book Review Cliches I'd Like To See — This is a great take on how, when reviewing books, we can sometimes write ourselves into inescapable patterns. But more importantly, it's good advice on how to emerge from those patterns. 3. Top 100 Most Sought-After Out-of-Print Books — Pretty, pretty interesting. Madonna's #1. You pervs! 4. 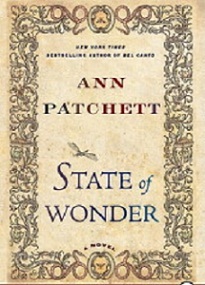 Interview with Ann Patchett — I haven't yet read her new novel State of Wonder, but people keep raving about it. And I love how the interview starts by discussing Patchett's penchant for creating setting. A good setting can make a book almost as much as a plot or characters, right? 5. The Decemberists' Calamity Song video — This could not be more awesome; it recreates the game Eschaton from Infinite Jest. I've probably watched this about two dozen times in the last week. 6. Reading: Free entertainment, for life — Great op/ed on CNN. Even if you did nothing else for the rest of your life but read, and even if another book was never published, you'd still have plenty of material. 7. Back From the Dead: The State of Book Reviewing — This long piece in Poets & Writers does a brilliant job of describing the changing landscape of book reviewing. 5. Top Five Sins of the Book Reviewer — This post holds the New Dork record for most comments — 52. I loved hearing that most people agreed about most of these, or disagreed just in shades of degree. 4. My Top Five Literary Nemeses – This was probably the most fun post to write, and the comments were great! We effectively panned all the posers in the literary world! 3. The Play's The Thing: A Look At Literary Gimmicks — This was one of those posts where readers really came strong with additional recommendations. That's another one of my favorite things about this blog — discovering new reading landscapes. 1. Should Art Be Separated From Artist? — This discussion went on for several weeks with a total of 38 comments. This was the most challenging post to write, and the yielded the most stimulating comments. As always, thanks for reading. I hope you'll still be here at post #400! That one on book review cliches is great. The Out-of-Print list was really interesting. There are quite a few books in there I didn't even know existed but now really want. Thanks for the link! I loved the interview with Ann Patchett! I hadn't seen that one, and State of Wonder is my favorite read of 2011 thus far. I'd seen a few others before, but I'm perpetually amazed given how much time I spend online (for work and fun) how much I still miss. Oh, how I wish I had seen your nemesis post when it was first posted...I too have a deep contempt for the "don't read Harry Potter because it has witches in it and we all know witchcraft is real and therefore if you read about it you will go to hell" crowd...As a public school teacher I am on the front line of that one. We actually had a parent request to have her child placed in another classroom this year because her assigned teacher had a Hogwarts poster and a quidditch broom in the classroom library. @Ingrid - Agreed. It's giggle-inducing. @wordsandpeace - Nice reviews, thanks! Patchett remains near the top of my list of authors who I haven't read yet, but really need to. 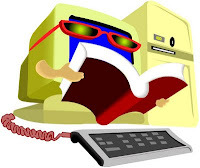 @petekarnas - Yeah, there is a surprising number of big-name authors on that list. @nomareader - Favorite of 2011, eh? Wow! And, yeah, there's no possible way to catch it all. I may need to resurrect the "Compendium of Literary Links" feature, just to share the articles I thought were good that others may have missed. @Heather - Ugh, a new classroom? That's rather extreme - but it really would have to be an extremist to be that anti-Harry Potter. It's infuriating.